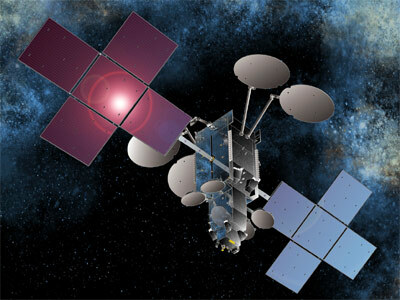 Space Systems/Loral (SS/L) announced in February 2012 that it has been awarded a contract to provide two high-throughput communications satellites called NBN Co 1A and 1B, that will be used to deliver high-speed broadband service to rural and remote areas of Australia. The satellites will be operated by NBN Co Limited (NBN Co), which was established to implement the Australian government policy initiative of providing access to high speed broadband to every household and business in the country via an integrated national network that will utilize fiber, wireless, and satellite technologies. The satellites for NBN Co are based on the SS/L 1300 platform, which leads the industry in reliability and has been optimized to provide enhanced performance and capacity distribution for broadband missions. The satellites are designed to provide service for 15 years or more. The two satellites, NBN Co 1A and 1B, are both Ka-band, high-throughput broadband satellites that use multiple spot beams in an advanced design that tailors capacity to Australia's vastly distributed population. When launched in 2015, the satellites will provide service to some of the most remote places in Australia, as well as its coastal islands and external territories including Norfolk Island, Cocos Island, Christmas Island and Macquarie Island in the Antarctic. The contract award also includes satellite control facilities, support for system capacity planning and optimization, systems to manage satellite operations, and end-to-end systems integration support. The satellites received the nick name Sky Muster in May 2015, which was selected from hundreds of entries as the winner of the nationwide competitionfor school children.